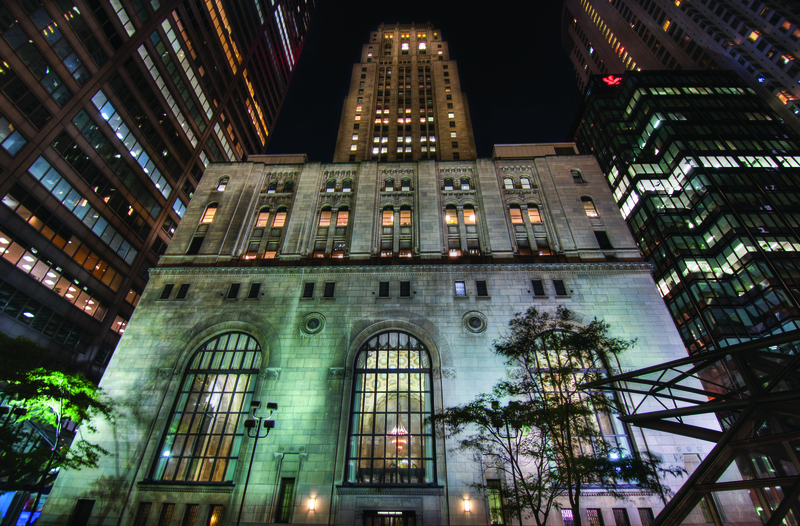 Iconic Commerce Court-with a history reaching back to 1931-is entering a new era of redevelopment with integrated Smart Technology as an essential building block. Beginning in 2008, RYCOM was engaged to transform an underutilized Base Building Network (BBN) into a functional and redundant BBN that created connectivity between all four buildings on the four-acre campus located in heart of Toronto’s Financial District. With the addition of the RYCOM Telecom Riser Management program, Commerce Court also benefited from extensive cable abatement and a secure, consistent process for managing telecom activity throughout the complex. Moreover, additional revenue was generated year-over-year from the Telecom License Agreements put in place with all the Telecom providers occupying space within the property. Today, from the achievement of their Platinum WiredScore Certification to the plans for a massive redevelopment of two of the four towers, property management company, QuadReal Property Group, continues to re-evaluate the Smart Technology and BBN requirements necessary to serve and support the 40,000 tenants and visitors who bring the campus to life every day.